ca 550 - 540 B.C. 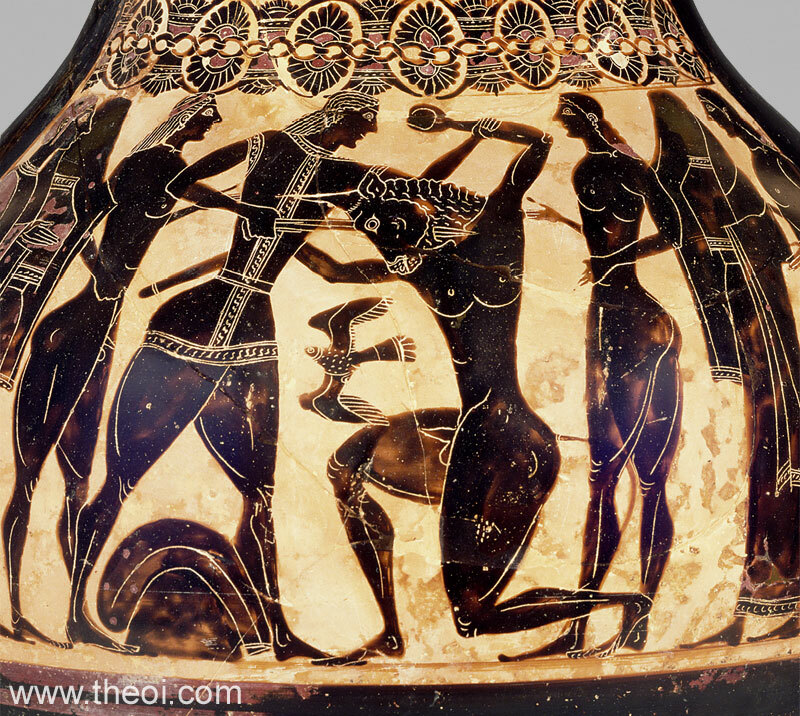 Theseus grasps the bull-headed Minotaur by the arm as he drives his sword through its neck. The bird by the creature's chest represents its escaping soul. The pair are surrounded by the sacrificial youths and maidens.